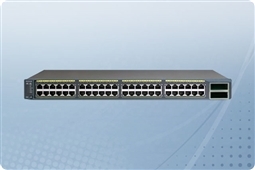 Cisco Catalyst 3560 Series Switches are a line of enterprise class switching solutions tailored to give the perfect access layer switch connectivity to small to medium size businesses! 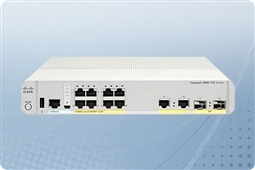 The Cisco Catalyst 3560 Series solutions are made to enhance business productivity while providing a high level of security, scalability, and ease of management and have features such as high performance IP routing, Advanced QoS, multicast management, Cisco EnergyWise technology, enhanced security, and superb scalability. 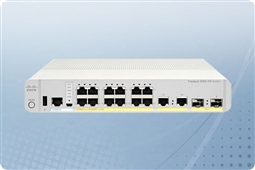 The Cisco Catalyst 3560 switch series also is a great solution for those looking to deploy IP telephony, wireless or gigabit service to the desktop (GTTD). This and their low total cost of ownership when compared with competing models makes them an excellent value for the IT Professionals worldwide that depend on them! Aventis Systems is proud to offer our Cisco Catalyst 3560 Switches all with a 1 Year Standard Comprehensive Warranty with upgrades available to Express Parts Next Business Day Replacement or Extended Term Warranties as well as Onsite Hardware Support Agreements. So please shop our Cisco Catalyst 3560 Switches below and get enterprise level features, security, energy efficiency, and connectivity at a budget friendly price to help your business Get IT Done today! Looking for other options, features, or specifications? 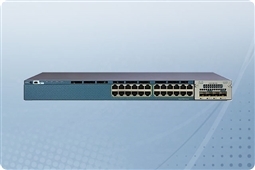 Please check out our complete line of Cisco Catalyst and Small Business Switches today!